Jetson Green »Today is World Water Day and it just so happens that Jerry Yudelson, noted green building authority and author, has released a new conceptual tool to help people understand where water will come from in the future. 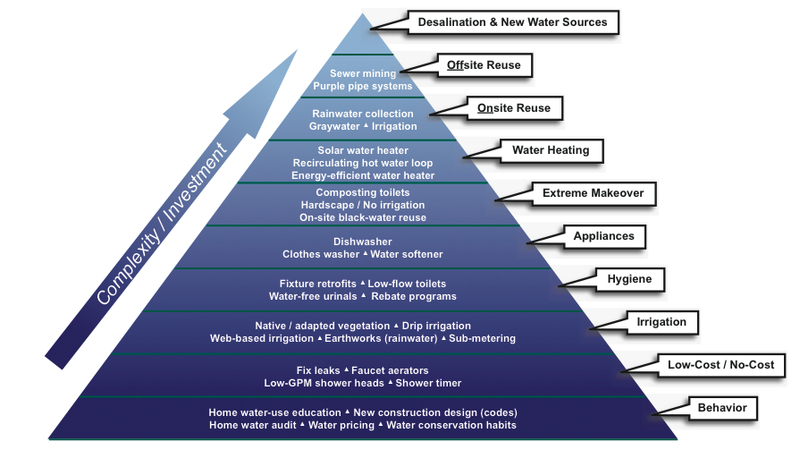 The tool mimics the popular Pyramid of Conservation used by Minnesota Power and explains water sourcing in ten increasingly expensive and complex steps. Of course, some of these can be done at home (i.e., retrofits, water-saving appliances, water heating), while others require a larger effort (i.e., desalination, off-site reuse). Water is a precious resource that must be protected, and this is a primer to get that started. All in all, this is a straight-forward, dead-simple graphic that can help us evaluate how to do that. 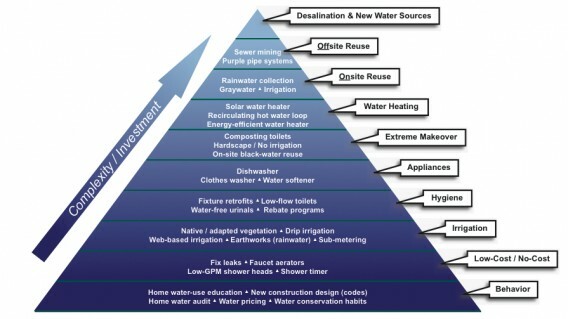 Download a copy of The Pyramid of New Water Sources.